Simulation events, conferences, webinars and courses in Ontario and beyond. The 11th International Pediatric Simulation Symposia and Workshops – IPSSW2019 – will be held in Toronto, 20-22 May, 2019. Simulation is revolutionizing approaches to patient safety and quality improvement in healthcare. The Forum is a truly unique event that highlights applications of simulation, and evidence for its effectiveness, to advance patient safety and quality improvement efforts. Une première édition en 2019 à Joliette! C’est avec engouement que le Cégep à Joliette annonce la tenue de la première édition francophone et québécoise du Colloque simulation en santé les 30 et 31 mai 2019. Cette rencontre annuelle aura pour objectif de faire découvrir la pratique de la simulation médicale auprès des intervenants du milieu collégial et universitaire ainsi que des professionnels de la santé. The Master Debriefer Course provides the advanced content, strategies and tools necessary to transform debriefing conversations into vehicles of change within healthcare environments. This immersive 3.5-day course focuses on improving debriefing skills by weaving through several important elements of debriefing and feedback practice. 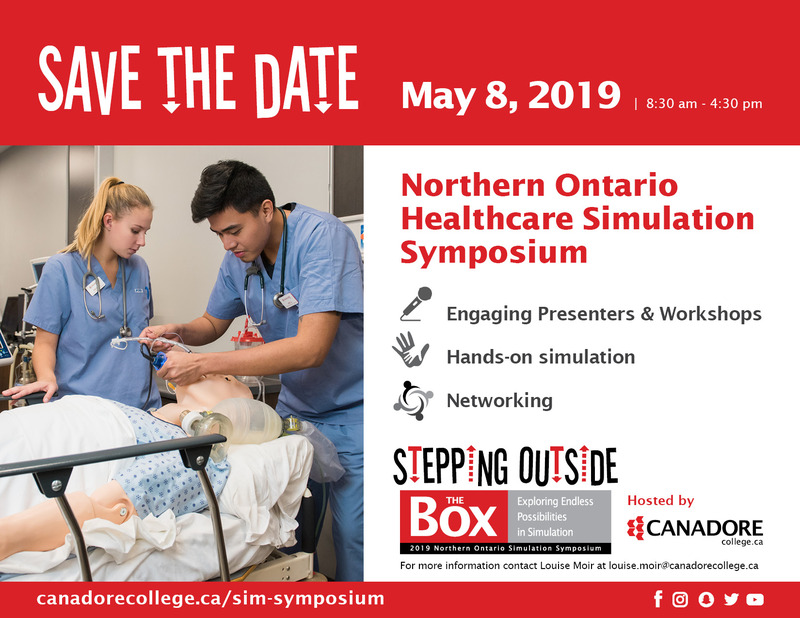 Join Canada's passionate, interprofessional healthcare simulation community and world-leading experts at the 2019 SIM Expo! We were overwhelmed by the excitement, positivity, optimism and collegiality of Canada's simulation community at the 2018 SIM Expo in Calgary. What an exceptional start to our new, truly national simulation network! SIM Expo continues to be the largest interprofessional and multidisciplinary simulation conference in Canada and we are excited to bring it to Montréal for 2019! SAVE THE DATE for the 2nd Annual Simulation Education Advisory Committee (SEAC) Symposium. Hosted by the University of Toronto Faculty of Medicine, the SEAC Symposium aims to foster collaboration and discussion of education, research and technology within the medical simulation sphere.